Issued in the second year of the French Revolutionary or Napoleonic Wars, which would soon engulf much of Western Europe, this map is not only extremely attractive but documents a defining moment in European history. 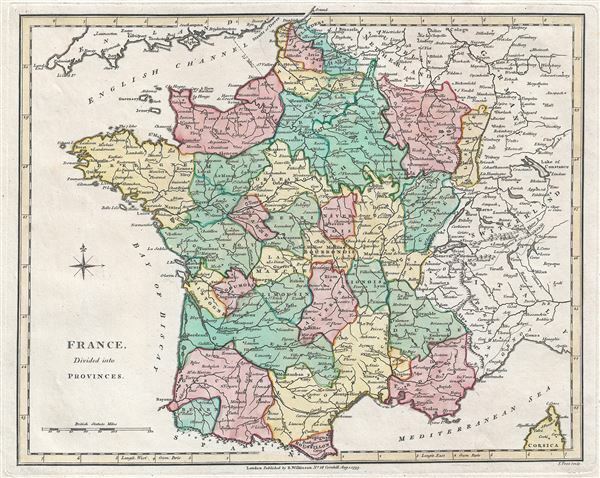 A great companion map to Wilkinson's 1794 map of France divided into departments from the same atlas. This map was engraved by Thomas Conder and issued as plate no. 26 in the 1792 edition of Robert Wilkinson's General Atlas.